Magazines have a rich tradition of campaigning. Compared with the big papers, Weight Watchers magazine circulation figures may be modest, but our readers are undyingly faithful and highly vocal. While a newspaper is in the recycling bin by tea time, a magazine lives on for far longer. For proof, just pop along to your local dentist’s waiting room and see how far back their eclectic collection goes. And most magazines are read by many people, many times. Weight Watchers magazine has a circulation of 150,695, but each issue is read by one million people. In effect, we have an army of dedicated followers who come together to share a common purpose and trust in what we say. It is quite an intimidating force for a retailer to reckon with. This year, we wanted to create a campaign that would not only ignite the passion of our readers, but which could also result in a real, tangible change in their lives. And if we managed to make enough noise and get the magazine some publicity along the way, so much the better. So the magazine team gathered for a brainstorm. This year, the Weight Watchers organisation launched a campaign to highlight how toxic the environment in which we are forced to live is. We share a world where food is available 24 hours a day, where there’s a chip and burger van on every lay-by and muffins are offered to you with your coffee. Frankly, it’s no wonder we’re eating too much. We asked our readers, which environment do you feel is the most toxic? Where do you find it overwhelmingly difficult to make healthy choices about food? We asked our 17,310 Facebook followers of Weight Watchers magazine to complete an online survey and we got a clear result. 68% of our readers said the cinema is the most difficult environment in which to find healthy choices, followed by the coffee shop (20%) and the petrol station (9%). At the cinema, snacks on sale are beyond super-sized and there are no healthy options if you do want to nibble. 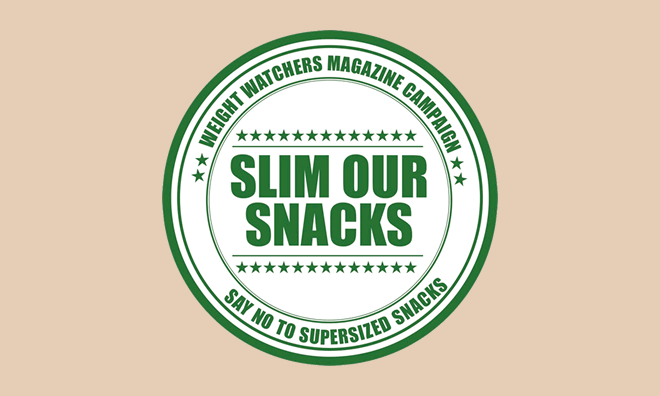 We then launched the Slim Our Snacks campaign. As with any good campaign, the starting point was what did we want to achieve? Simple: we wanted all cinema chains – lead by the top three of Odeon, Vue and Cineworld – to slim their portions and to put some healthier options on sale. 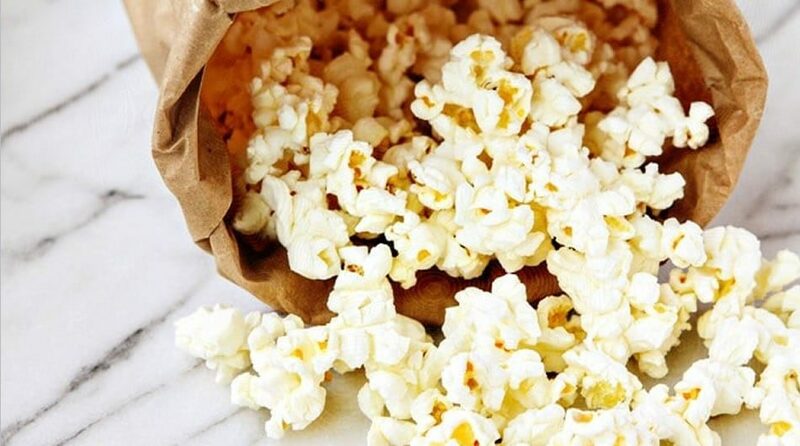 Research showed us that a large bucket of sweet popcorn can contain up to 1,800 calories. The recommended intake for a woman is 2,000 calories a day. Suitably disgusted, we moved onto stage two of the planning. How much noise could we create along the way to draw the attention of readers, newspapers, the cinema chains themselves and heck, even ministers? Our client Weight Watchers loved the idea and ambition of our plans and having got the green light, we were off. And so began a 10-month campaign of stunts, articles and gimmicks. We set up an online petition and at every opportunity along the way, we asked people to sign it. First, we printed a letter in the magazine for readers to cut out and send to the manager of their local cinema asking them why their foyers were so toxic. Soon, our in trays were full of responses from cinema managers across the country. ‘Head office tells us what to sell’ was a common response. Next, we contacted the British Origami Society to ask if they could use the front cover of our magazine to create a popcorn cup. They were extremely helpful and came back with an easy prototype suggestion. We created a ‘how to’ video to get our readers to make their own cups. Each ‘cup’ held 6g of either sweet or salted popcorn, with a ProPoints value of only 1. For those who don’t know, Weight Watchers assigns all foods a ProPoints value, and gives members a daily allowance. The minimum daily allowance is 26, so a ProPoints value of 1 is very low, especially when you compare it with a ProPoints value of 19 for a medium tub of sweet popcorn from an Odeon cinema! This was a great way to engage our Twitter audience of 4,645 followers in the fun. We had a popcorn day at work, where we gave every employee of River a bag of popcorn to spread our message further. There is, after all, no better way to disseminate our message than telling an office filled with journalists. As the momentum of the campaign built, so did the numbers of people signing the e-petition. To date, 1,610 people have signed in support. ‘It’s about time someone started this campaign,’ wrote Tina Jackson, via Facebook. ‘I would like to see smaller portions,’ wrote Helen Bloor, via Facebook. Weight Watchers ambassadors Gregg Wallace, Patsy Kensit and Penny Haslam even lent their support. We have established our magazine as one with a campaigning voice, a thought leader in public health issues and created a vehicle for change. The campaign was fully endorsed and supported by Weight Watchers, who used the campaign as the focus of their launch of a new portion controlled popcorn product. The campaign attracted the attention of the newspapers and we got coverage in the Daily Mirror, Daily Mail, and The Telegraph. The campaign will feature in a new book entitled 100 Great Magazine Moments, being published by the Periodical Publisher Association (PPA). In Sept 2013 we will be delivering our petition into the hands of cinema bosses to ask them what they’re doing to help support the weight loss journey of our 1 million readers. This has been a successful magazine campaign that has met most of our aims. We have tapped a nerve that resonated loudly with our readers. Our readers engaged with the campaign and signed our petition. Our campaign helped at very least, to raise awareness of this issue and equally importantly, we also managed to create some noise around the magazine along the way. When I say it met most of our aims, I have a secret ambition here to share. It was always my desire to have permission from Downing Street to deliver our petition to the black door, dressed as a tub of popcorn. Sadly, so far at least, it’s been a case of permission denied. But when it comes to campaigns, it pays to dream big. Pick a cause that is close to the hearts of your readers. The more they engage, the more successful your campaign, and subsequently your magazine, will be. Make sure your aim is as tangible and realistic as possible. Your ultimate aim is to effect a tangible change. Don’t underestimate the power of your readership. Magazine campaigns can do real damage to retailers who refuse to listen. Be creative. Think of lots of tricks and stunts to pull out of the bag along the way. This will help draw attention to your campaign and sustain its momentum over a number of months. 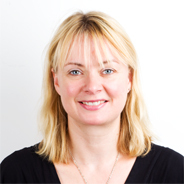 Charlotte Bradshaw is the Deputy Editor of Weight Watchers Magazine, at River.